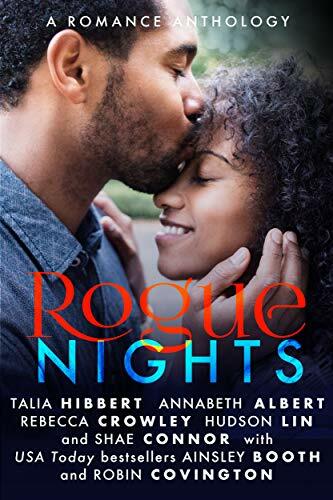 ← Rogue Nights Is Now Available! Like a lot of you, I’m ready to see the back of 2018. Sure, I had some great moments—buying a house, releasing a new novella and my first M/F story, taking some great trips, visiting with awesome friends—but overall, 2018 was one dumpster fire after another. I’m already side-eyeing 2019: you better behave yourself. I had a list of things I wanted to do in 2018, but as it turned out, life had ideas of its own. I did get some things marked off the list. I bought a house and moved me and my parents into it. I upped the percentage of income I’m putting toward retirement. I paid off some debt. I attended three romance conferences (Spring Fling, RT, and RWA) and presented panels at two of them. I oversaw the Daily Dragon for Dragon Con. I submitted a partial and got a full request. But some other things had to fall by the wayside. I didn’t finish the novel I wanted to finish (though I’m closing in on THE END). I cancelled two trips because I ran out of time. We still aren’t unpacked. So some things are definitely carrying over to the new year. Finish the novel that’s nearly done and submit the final. Finish unpacking and getting settled into the new house. Go to NECRWA and RWA. Do the Dragon Con thing again. Get into better writing habits in general. Move more. I spent wayyyyy too much time sitting in front of a computer. There we go: short and sweet. Looking forward to a better year in 2019 for everyone! This entry was posted in author life, m/f, m/m, musings, novel, short story, teaching ben, the coffee shop around the corner, writing. Bookmark the permalink.